Time: Talks start at 7PM for each night of the seminar. Iftaar & Dinner will also be served each night. 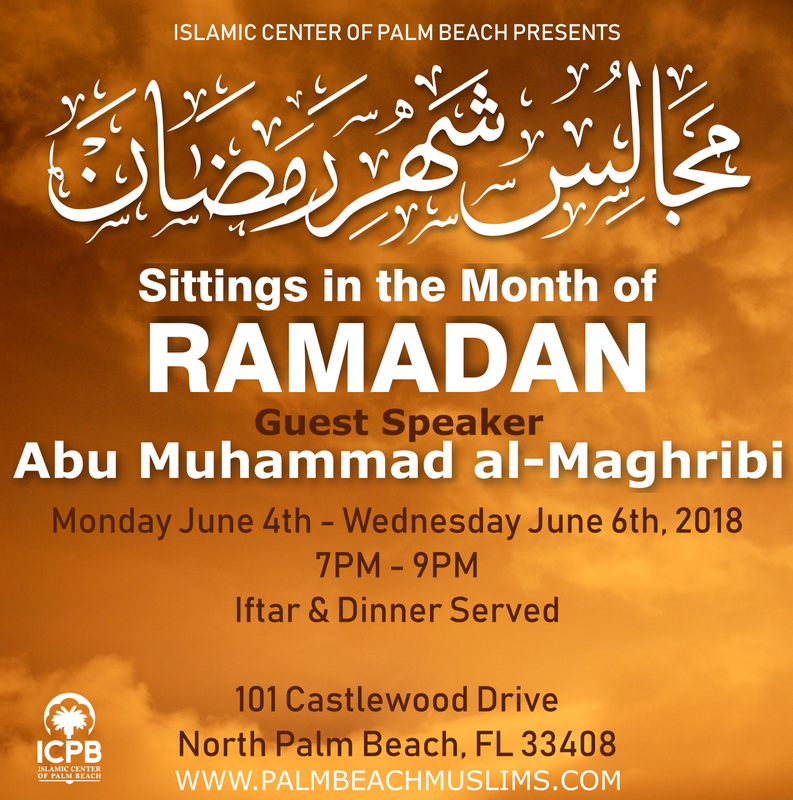 Posted in Events, Media library, Newsletter, Ramadan. Text the word ICPB to phone number 760-670-3130 to receive SMS announcements from ICPB. Msg&data rates may apply. To unsubscribe, text STOP to 760-670-3130. For help text HELP anytime. Available in USA only. You may receive up to 30 msg/mo. Your privacy is always protected and your information will not be shared.